Cook up a batch of comfort food with our Easy Beef Stew Recipe. 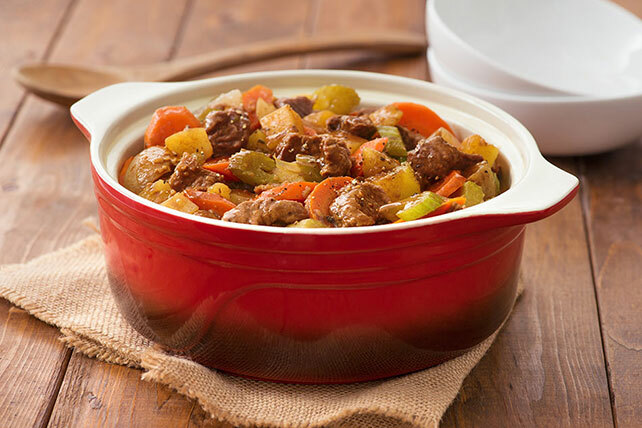 This fantastic Easy Beef Stew Recipe is as simple to prepare as it is enjoyable to eat. Preheat oven to 300°F. Mix all ingredients in large casserole dish; cover. Bake 2-1/2 to 3 hours or until meat and vegetables are tender, stirring after each hour. For a thicker gravy, add 1/4 cup MINUTE Tapioca to the ingredients in casserole dish before baking.